Kelela’s dance experience grows in a new direction with her participation in Tribal Evolution. Belly dance is the latest chapter in her journey, which includes classical ballet, modern dance, and jazz. Her formal training includes coursework at La Universidad de las Américas – Puebla, México and a B.F.A. in Modern Dance from Texas Christian University. Kelela’s professional work includes company member of Contemporary Dance/Fort Worth as well as a teacher in local dance studios and outreach programs. Her interests include travel, J.R.R. Tolkien, musical instruments, cats, and renaissance festivals. Nymeria began dancing at a young age taking ballet, tap, and jazz classes through a local organization. She also played several sports but focused mainly on gymnastics for about 10 years. Shortly thereafter she started performing and competing with her high school dance team and found the camaraderie with her teammates and the thrill of performing to be a fantastic experience. Since then she has studied many other forms of dance including: modern, latin, acro, lyrical, weapons, bhangra, and folkloric. In the spring of 2007, on a journey to find a new dance outlet, she attended a dance festival and took a workshop with Tribal Evolution. It was there she found herself drawn to the exotic beauty and grace of tribal belly dance and this wonderful group of friends she now calls family. In 2008 she became a member of Tribal Echo, and promoted Tribal Evolution in 2009. In December 2012, she was honored to become the new Director of the TE family. 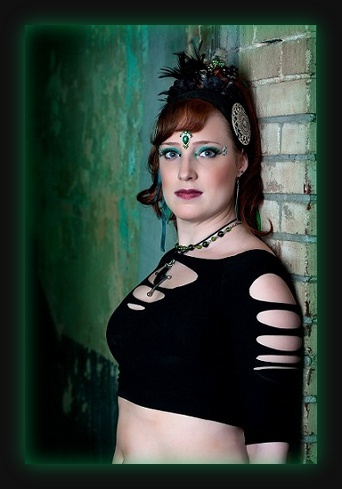 In 2015 she received her Fat Chance Belly Dance American Tribal Style General Skills Classic and Modern Certifications. During her time with Tribal Evolution, she has been the costume mama, seamstress, photo cataloger, a choreographer, prop maker, website designer, a teacher, and has studied with many inspirational teachers and performers including Sera Solstic, Zoe Jakes, Kami Liddle, Rachel Brice, Jill Parker, Silvia Salamanca, Suhaila Salimpour, Karim Nagi, Megha Gavin and Carolena Nericcio. Tribal Evolution is Luna's first experience in dance/bellydance. She started back in the fall of 2011 after two years of searching the internet far and wide for this community and, by pure chance, stumbled upon the opportunity to take a class with TE. She has fallen in love with the sisterhood in this dance and its philosophy. 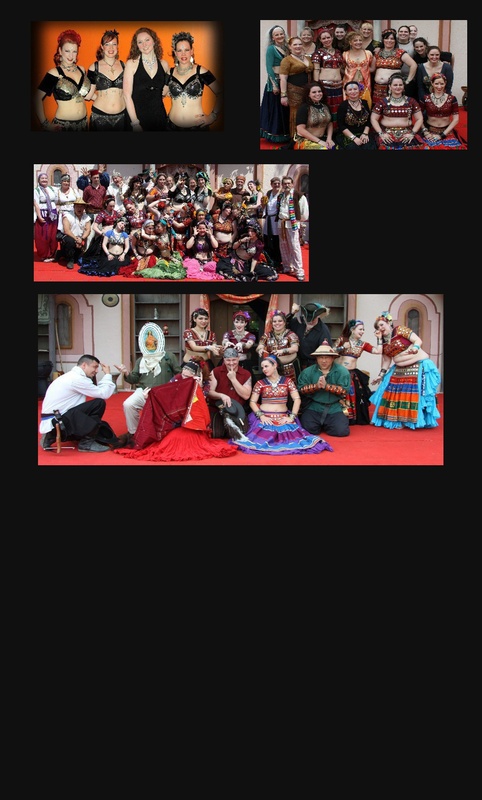 Luna is inspired by ATS and Tribal Fusion as well as many folk dances from around the world. In her spare time, she enjoys being creative in arts, crafts, and music, reading, many things nerdy, and spending time with her loved ones. 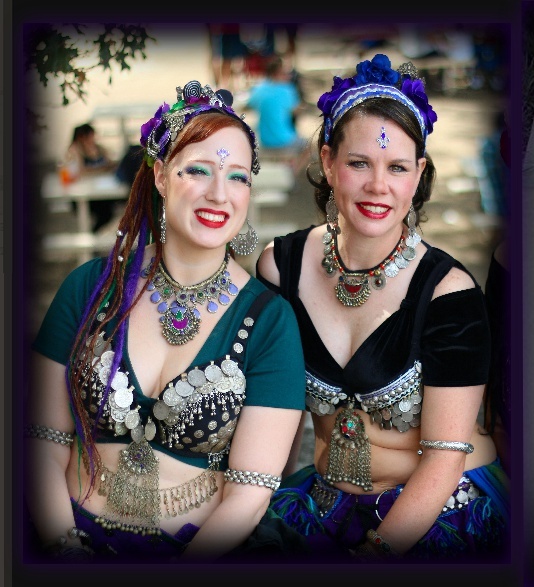 Laurel took her first belly dance classes in 2005 with Bayou Shimmy in Baton Rouge, Louisiana. 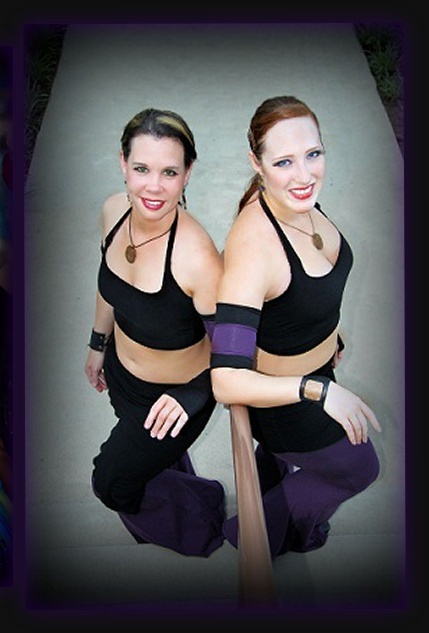 Through several moves, 3 states, and a journey from cabaret to tribal fusion and now to ITS, Laurel was honored to join Tribal Echo in 2015 and promoted to Evo in 2018. She is thrilled to have found the perfect dance home in North Texas, where she can sharpen her performance skills while experiencing the fun of improvisational dancing with friends. When not dancing, Laurel is a librarian and enjoys hanging out with her husband and dogs, sewing, and exploring the Texas countryside.